We hope you will join us at the Ashland Co-op for a Buckhorn cooking class. All of the vegetables will be from Buckhorn’s own garden/farm, and you can find all of the recipes in the Buckhorn Springs Heritage Cookbook, except the Spring Soup. Chef Leslie wanted to leave the soup open to creative inspiration from the garden.The best part is you get to eat it all too! 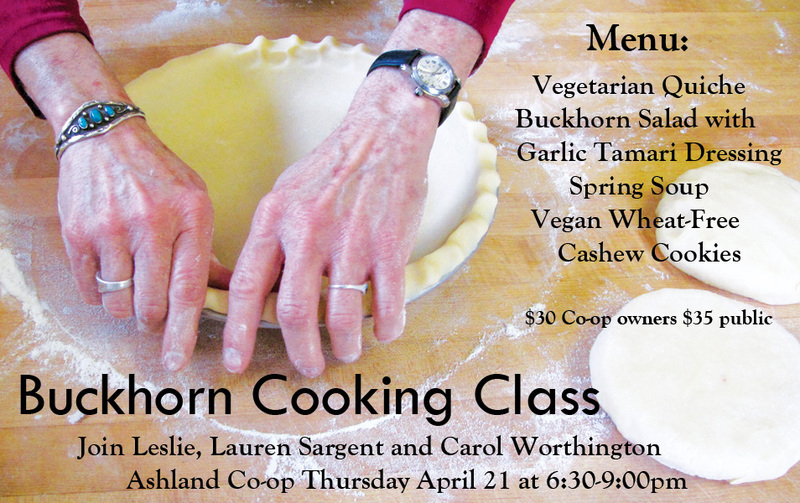 Visit: www.ashlandfood.coop to sign up today! Please tell anyone you think may be interested!